Dutch Knitting Stitch is worked over a multiple of 3 plus 2 stitches. For example, our Terrace Wrap has a cast on of 119 stitches: 3 times 39 equals 117, plus 2 equals 119. This stitch has a 6-row repeat. The three wrong-side rows are all the same: Purl. The three-right side rows are very similar, making the overall stitch pattern a cinch! If worked in long swaths (i.e. 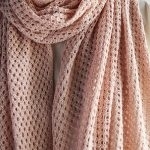 a long scarf or generous wrap), this fabric may bias slightly with wear. That’s okay, it’s just as beautiful! If this stitch worked in smaller pieces and pieced together for a garment, the biasing should be counteracted by seaming and blocking. Row 1 and all subsequent wrong side rows: Purl. Row 2 (right side): K3, *yarn over (yo), k3, pass the first knit stitch over the other 2, repeat from * to last 2 stitches, k2. Row 4: K5, *yo, k3, pass the first knit stitch over the other 2, repeat from * to last 3 stitches, k3. Row 6: K4, *yo, k3, pass the first knit stitch over the other 2, repeat from * to last stitch, k1. Now that you’ve added Dutch Knitting Stitch pattern to your repertoire, put it to use while making our Terrace Wrap! I enjoy all your videos, thanks. What I would find particularly helpful to add, please, would be a look at the back of the work. I hope you will consider adding this detail in future videos. Thanks for considering! Thanks for writing in! We will certainly take your suggestion into consideration for the future! That’s an excellent suggestion, Julie! will be perfect and sitting outside in cool summer evenings. thank you for this great idea. Thanks for the question. Yes, for the Terrace Wrap you can use Linen Quill as a substitute. It will be both textural and soft. In your nice video, you bring the working yarn to the front before starting the stitch repeat. I don’t see that in the pattern instructions above. You use a yarn over instead. Is the result the same? Thanks for writing in! Biasing is the process of a fabric going from square to slightly diagonal. In this case the wrap will not appear as a rectangle when laid flat but rather the ends will be at parallel diagonals and the sides will remain parallel to each other. Thanks for writing in! You certainly can add this stitch pattern into another project. I would just note that the stitch pattern does have the tendency to bias the fabric so that your blanket may not come out as straight as if you used an alternate stitch pattern. The stitch pattern itself does not drop a stitch but rather reduces a stitch and creates a stitch for a net result that is the same number of stitches as you began with thus there is no need to add a stitch back in. So long as you work over a multiple of 3 plus 2 stitches, you should be set! When working the row 5, do you purl the two stitches that are “wrapped” as one, or do you purl them separately? Great Question! For every wrong side row you will purl each stitch in your row. Hello! The pattern works really well however fhe finished scarf is totally slanted. The corners aren’t right angles. Can anyone help? I don’t know what I am doing wrong. Thanks for writing in and notifying us about this. The sample in the shop slants a bit too, so this is normal. This often happens with silk and plant fibers. If you’d like, you can aggressively block the wrap to try to straighten out the bottom edge. Thank you for this lovely pattern what type of cast-on do you recommend? Thanks for writing in! In general, when not noted, we use the long tail cast on and it would work well here. You could also use the backwards loop cast on here as well! Very good video, Cassy. I’m wondering — do you have any guidance for trying patterns in a different shape? I’d love to try this pattern in a triangle shawl. Great question! I think this stitch could be a beautiful triangle scarf. I would keep in mind that that the stitch pattern does have the tendency to bias the fabric so that your scarf may not come out straight. To create a triangle you will need to add increase or decreases, depending on which edge you cast on. As long as you end up with a multiple of 3 plus 2 stitches, you should be ok. I would experiment with adding increases or decreases to a couple of swatches and see how it comes out. Good luck and let us know if you have any further questions! Thanks for the lovely pattern . However , I have a question : Does it curl or not ? Thank you for writing in! As we have achieved this pattern in our Cattail Silk, we have noticed no curling. That is not to say that in an animal fiber that it might behave the same. I’d give it a try in a small swatch and see how it behaves there. Love this pattern! Do you have any suggestions as to another yarn that might be used? If another yarn is used will it bias as much as the silk yarn does? I agree with Paula; I’d love to see this pattern as a triangle scarf. Thanks for writing in! 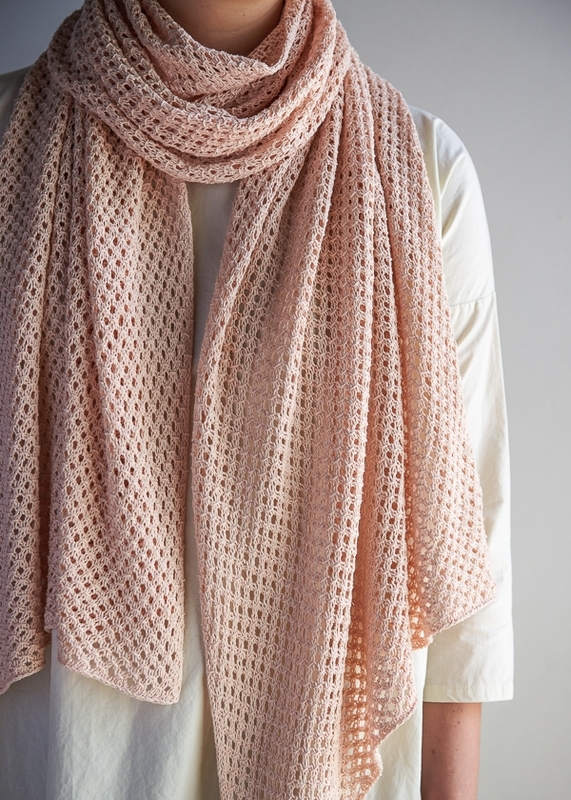 For our Terrace Wrap using the Dutch Stitch, you can certainly use an alternate yarn. I think that Linen Quill would be lovely here. I would suggest going up to a US 5 and using 3 skeins. However, the yarn choice will most probably not mitigate the biasing as the stitch pattern and not the yarn causes the biasing in the final wrap. We would love to see your final project if you do use an alternate yarn! I didn’t see anyone ask this and I feel sort of silly, but when you say that the item will “bias” — does this mean that it stretches on the bias? The description says it still looks beautiful but I’m just curious if that would make me want to keep it shorter rather than the longer length to try and avoid that? Or would using a different yarn change that? Thank you for your question! You are correct; it will stretch on the bias creating a triangular point on each side of the wrap. This is really the nature of the stitch, but If this stitch worked in smaller pieces and pieced together for a garment, the biasing should be counteracted by seaming and blocking. I hope this helps please let us know if you have any further questions! Thanks for writing us! After you pass the first knit stitch over the other 2 you begin the sequence again starting with your Yarn Over. The complete sequence that you will be repeating is as follows; yarn over (yo), k3, pass the first knit stitch over the other 2. Yikes, I must be doing something very wrong. I simply cannot pick up that 1st of 3 stitches (in the dutch knitting pattern) to lift it over the other 2. I started out using Hiya Hiya sharps and thought maybe they just were too smooth. Frogged that, started again on bamboo, frogged that and just now giving up on using Brittany wooden needles. I cannot get any purchase on the yarn fyberspates gleem lace. I’ve watch ed the tutorial multiple times…. any thoughts on where I may be going wrong? Not a novice knitter but first time using lace weight. Thanks for writing us! This stitch can take a bit of time to get used to. I have found that the Addi Rocket needles work best as they are a pointier which makes it a little easier to pick up your stitch. I hope this helps! Let us know if it still gives you trouble. I’m having to unknit most of a row and having trouble. 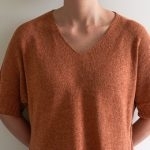 Can you point me to a good description of unknitting the Dutch Knitting Stitch? Thanks for writing in! While we do not have a resource to refer you to for advice to unknit the Dutch Stitch, I am happy to help! The most complex part will be unknitting the passed over stitch. You will want to insert your left hand needle into the bar that is the passed over stitch and move it back on the right hand needle. You can then rearrange it by pushing it back to be behind the 2 stitches that you passed it over. You will then unknit the 3 knit stitches and let the YO fall off of the needle. Hi! I’d want to make a dish cloth using the Dutch knitting stitch. Is there a pattern or can someone tell me how many stitches I would need to cast on for a 10 inch square? I like this video of the Dutch stitch! Is there anyway to save the video and pattern? Thank you for reaching out! This pattern is worked over a multiple of 3 plus 2 stitches. For example, 3 times 39 equals 117, plus 2 equals 119. This means that if you would like a width of 10″ with a gauge of 24 stitches per 4 inches in stitch pattern your cast on will be 62 stitches. One thing I would not before starting is that this stitch pattern may bias slightly with wear. Can’t find row 3 and row 5…listed in the pattern??????. Wrong rows, so I should purl! Thanks for reaching out! It sounds like you’ve got it! Yes, all wrong side or odd numbered rows of this pattern should be purled.